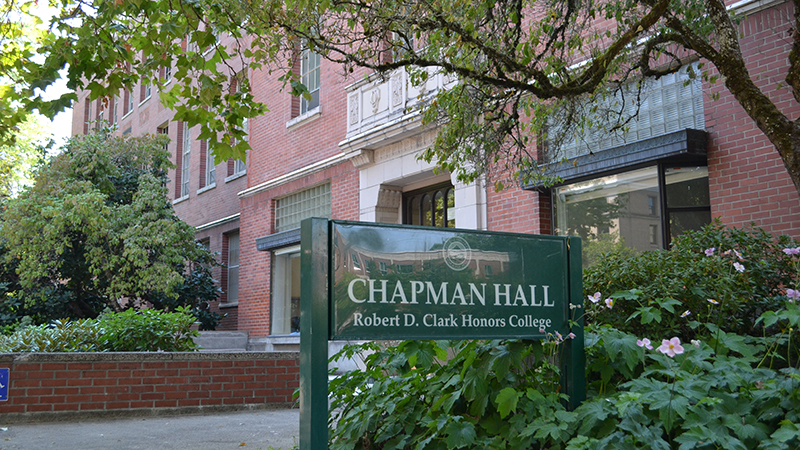 Faculty members in the Clark Honors College recently met with Karen Ford, the college’s interim dean, and Jayanth Banavar, UO provost and senior vice president, to learn about a new vision for the structure of the college. They provided more specific information in a follow-up memo to faculty members. Banavar and Ford said the new approach will enhance the student experience and support the overarching goal of making the college more competitive in attracting the strongest students while staying true to its shared values. The honors college, ranked in the top 10 nationally, is known for its small, rigorous classes, quality advising, high academic standards, close-knit academic community and dedication to student success. Discussions surrounding potential approaches have been underway for some time. According to the memo, work will begin soon to finalize details. “We recognize there are many questions, and there remain many details to work out. Your patience is very much appreciated through this process,” the memo read. The full text of the message is available on the provost’s website.